Caption slip reads: "Photographer: Monteverde. Date: 1954-08-19. Reporter: T.T. Assignment: Rope twirling contest. 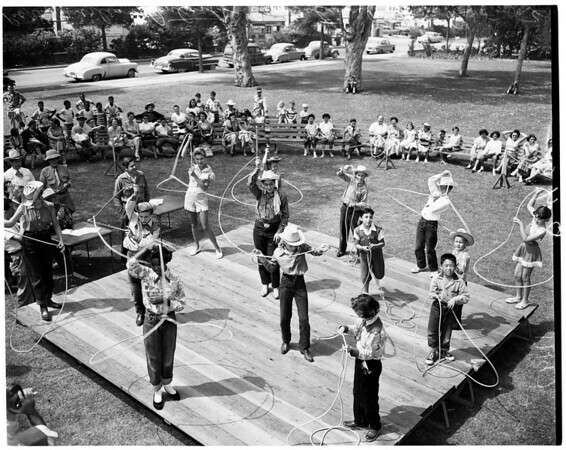 Pix shows some 10 finalists in Recreation Department Rope Twirling Contest at Exposition Park".